There is no rest for the Movistar Yamaha MotoGP Team. 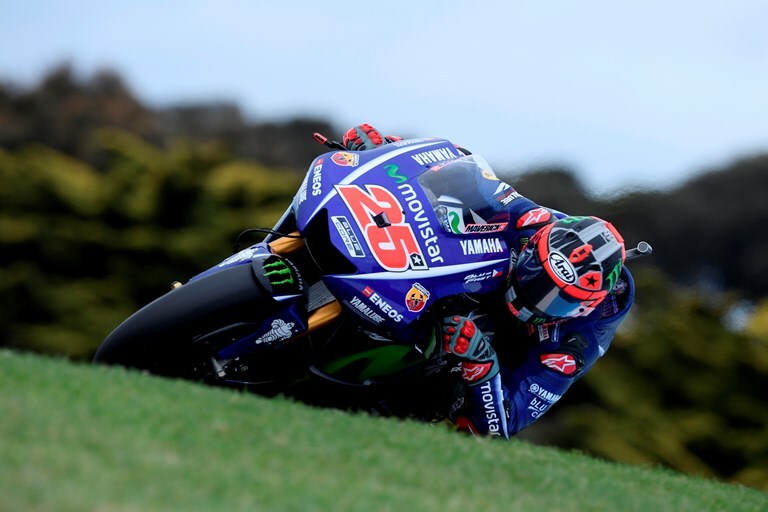 After a thrilling race on Phillip Island – where riders Valentino Rossi and Maverick Viñales fought a hard battle for second and third place respectively, they head directly to Malaysia for their third-consecutive fly-away race, at the Sepang International Circuit. Viñales is eager to claim his first premier class MotoGP victory in Malaysia. In previous years he climbed onto the podium on two occasions, claiming a 125cc win in 2011 and first place in the Moto2 race in 2014. Last year he secured sixth place, his best premier class placement in Sepang, which he is determined to improve on this year. The Spaniard currently holds third in the championship rankings and is mathematically unable to secure the Rider Title, with a 50-point gap to first place and two races to spare. Instead he will be pushing to claim second place in the standings by bridging the 17-point gap to the rider ahead of him in the rankings. Teammate Rossi also rode a strong race in Australia and clawed back crucial championship points to climb back up to fourth place in the overall classification, 31 points behind his teammate. This weekend the Italian hopes to be an even bigger threat at the front of the rider field in Sepang. The Doctor aims to put his experience at the Malaysian track to good use again this weekend. So far, he stood on the Sepang podium 12 times in his career and he will give his all to repeat his previous successes. He secured a 500cc class race victory here in 2001 and claimed MotoGP victories in 2003, 2004, 2006, 2008 and 2010. Additionally, he also visited the rostrum in 2002, 2005, 2014 and 2016 when he scored second place, and in 2009 and 2015 when he took third. The Sepang International Circuit was built in just 14 months and held its first Grand Prix in 1999. The track is known to host some of the most exciting races thanks to its combination slow and medium to high-speed corners (five left, ten right), and two long straights (the longest measuring 920 m). However, it’s not just the circuit’s lay-out that provides challenges when it comes to setting up the bikes. The laps are relatively long, thanks to the circuit’s total length of 5.5 km. Add to this extremely hot and humid conditions, and you’ve got one of the most testing rounds on the MotoGP calendar. After a truly memorable performance in Australia, Johann Zarco aims to challenge for a podium finish in Malaysia to strengthen his attempt to complete the year as the Top Independent rider in the World Championship. Meanwhile, the WorldSBK front-runner Michael van der Mark will replace the recovering Jonas Folger at the round 17 event. The Monster Yamaha Tech3 would like to warmly welcome the promising young Dutch rider, who will be making his MotoGP debut. The action begins this Friday at 09:55, or 03:55 in central Europe.